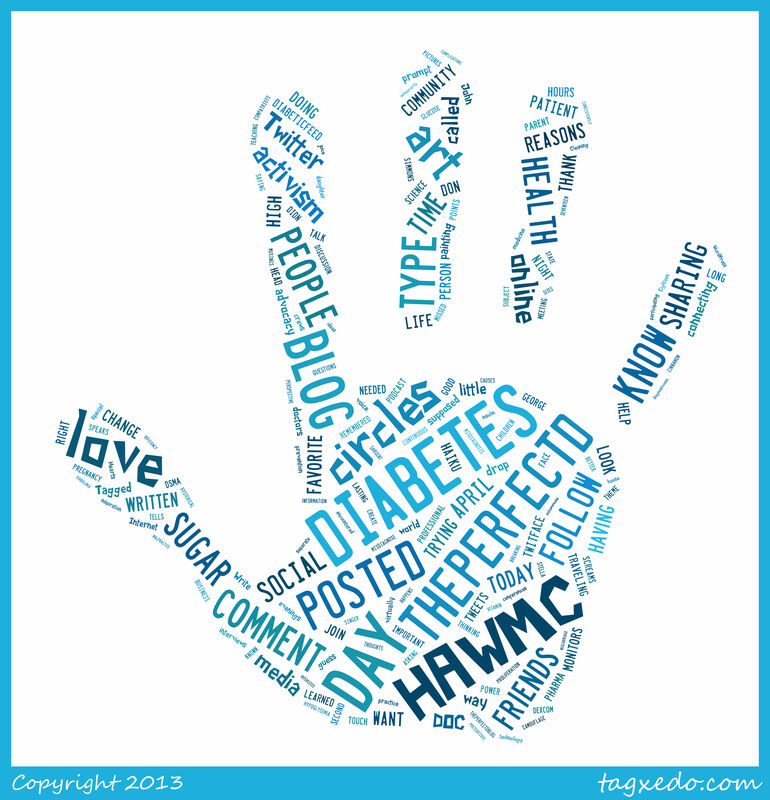 Those who participate in this year’s Challenge through Wego Health were asked to create a “word cloud”. I chose to use my entire blog… and saw some interesting results. I’ve been blogging for less than 2 months and a lot of it is for the HAWMC challenge, so the large HAWMC and DAY are a given. I LOVE the fact that “Love” is also pretty big. And “Know”. And “Sharing”. I HATE the fact that community, activism, and DOC are NOT large. I’ll be working on changing that. So, here it is. I have a feeling that next year, this word handprint will be very different. I am a part of the middle finger.